Welcome to those of you joining me from Your First Visit and those of you just hopping aboard. I am the 3rd stop on our Magical Blogorail. In this special edition loop, the Magical Blogorail is sharing with you our impressions of the Moderate resorts at Walt Disney World. I am sharing my thoughts and stories from Port Orleans French Quarter, one of my favorite resorts at Disney. 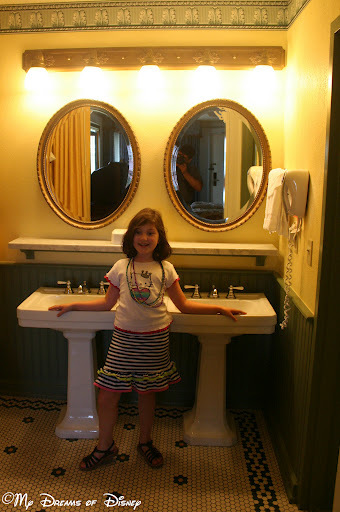 We first stayed at Port Orleans French Quarter in 2009, and liked it so much we stayed there in 2010 also. There are a lot of positives when it comes to POFQ, so let’s take a look at some of them. French Quarter is the smallest of the moderate resorts, with just 1,008 rooms for the resort. By comparison, Port Orleans Riverside is more then double the size, with 2,048 rooms. Port Orleans French Quarter is located on the Sassagoula River, which is a Disney made river that provides water taxi access to each of the resorts and also to Downtown Disney. When you enter the resort, it’s as if you have walked straight into the French Quarter section of New Orleans, complete with the street signs and courtyards. The French Quarter has a really nice main pool with a neat water slide, plus, as you can see, there are characters located in the resort that make for a nice photo opportunity! Port Orleans French Quarter doesn’t have a table-service restaurant, but it does have a food court, the Sassagoula Floatworks & Food Factory, which has various stations to order different types of food. Located in the main building, the dining location has a lot of great items hanging from the ceiling. Some of my favorite customer service experiences happened when we were staying at Port Orleans French Quarter, either in 2009 or 2010. I remember in 2009 we had the same greeters when we would enter the lobby every day of our trip practically. They were incredible people, with the Disney customer service ingrained in them. But more then that, they were genuinely nice people, the kind of people that you see day in and day out, and by the time your vacation is over, they are more then just Cast Members — they are also friends. It is to my regret that I didn’t think to get their names or email addresses, because I would have liked to kept in touch with them. Every day we saw them, they would give beads to Sophie, or coins, and they always had a smile on their face, and a welcoming “Where are we going today?” question on their lips. When we told them, they immediately pulled out park maps for that park, and told us the best way to get where we were going to make our reservation. As you can see by my photos, the rooms contain two queen beds, double pedastal sinks, and a standard bathroom. Also, there are different views available — in 2010 we paid for the water view, and the picture of the Sassagoula river was the view from our room. stop on the Magical Blogorail Loop is Heidi’s Head. Let’s Take a Virtual Disney Tour! Thanks for sharing with us about Port Orleans French Quarter, Mike! Gracie, Ian, and I are looking forward to staying there in September. Ian is especially excited about the pool! Thank you for the review. We just about stayed there once and now I may have to add it back to my list. Another one for THAT list!! Great review! We stayed there in April on our first family trip to Disney and absolutely loved it! Haven't stayed at FQ, but we love POR! 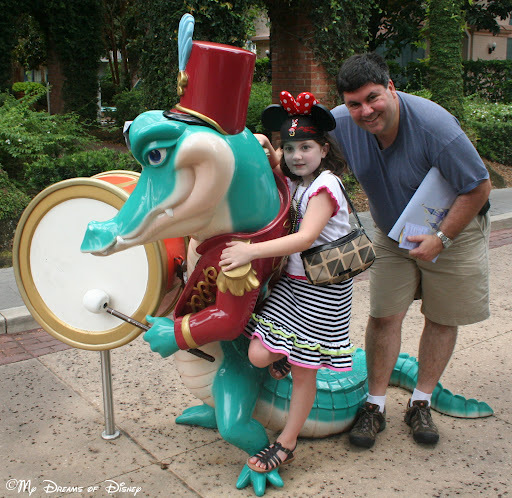 We've waved from the friendship on our way to Downtown Disney, though :) Nice review, Mike! Thanks everyone! Port Orleans FQ is my favorite moderate resort, so if you haven't tried it out, I strongly urge you to do so! Next Post: 30 Things To Do At Disney World: Watch Wishes!